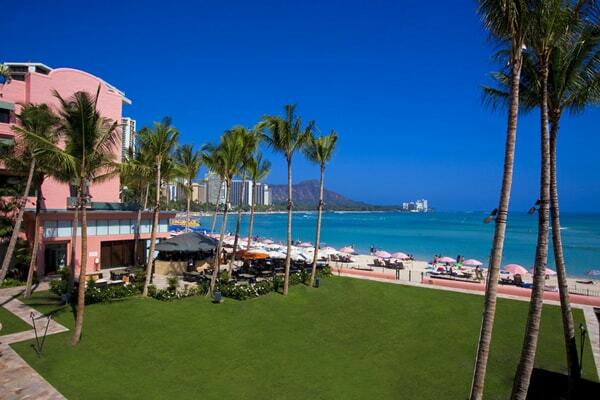 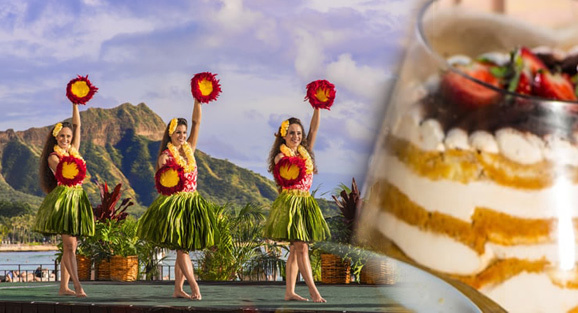 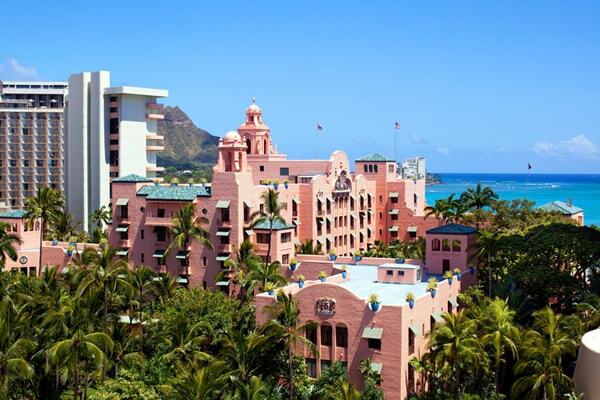 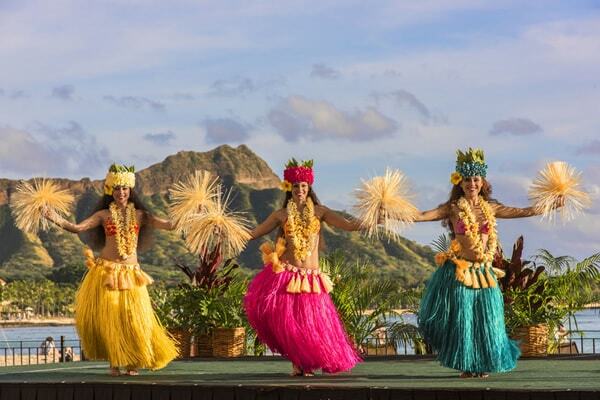 Experience a traditional Hawaiian luau in grand Royal Hawaiian style! 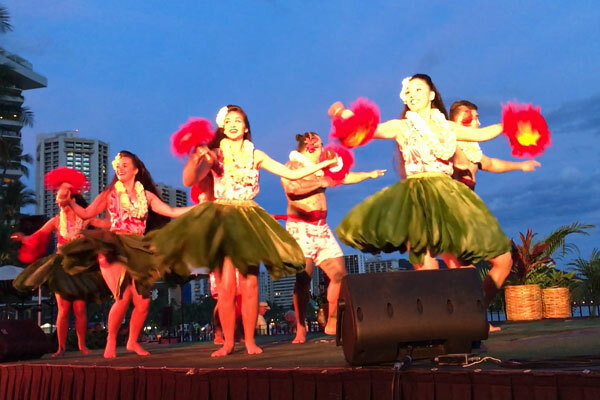 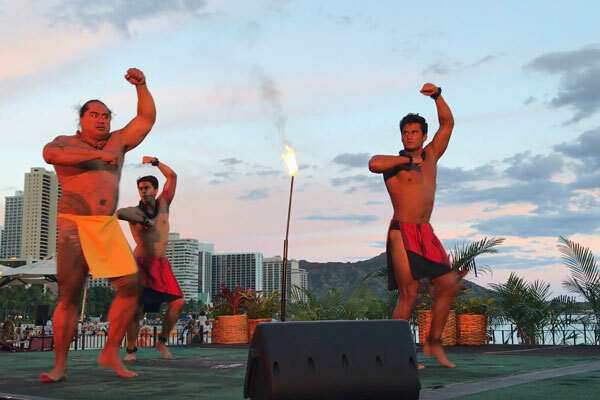 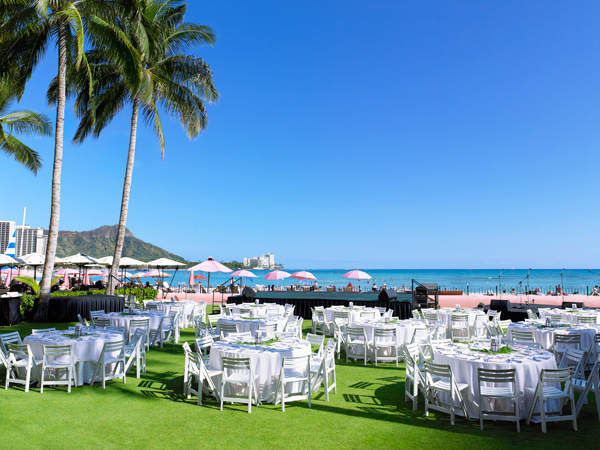 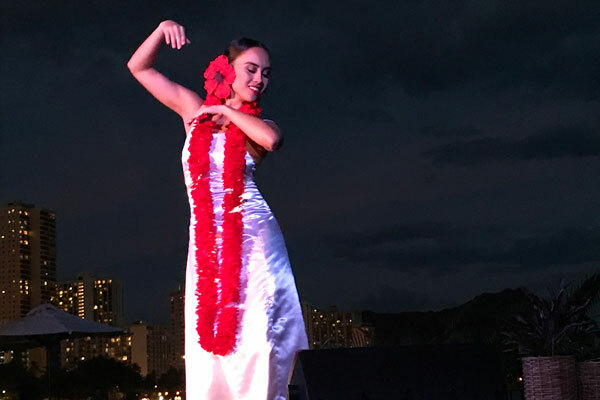 Held on the Ocean Lawn at the iconic "Pink Palace" in the heart of Waikiki, the Aha'aina Luau includes everything what makes a Hawaiian luau special: cultural presentations, a delicious luau feast and island-style musical entertainment. 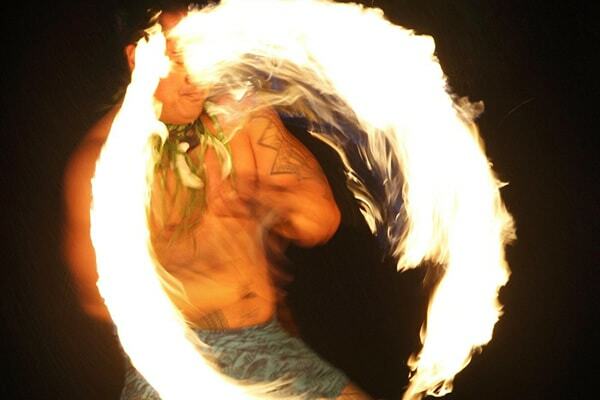 Watch or take part in hands-on activities, such as poi pounding (poi is made by cooking and pounding the taro root), na lawai'a (tending of fishing tools) and kapa making (a cloth made of pounded bark). 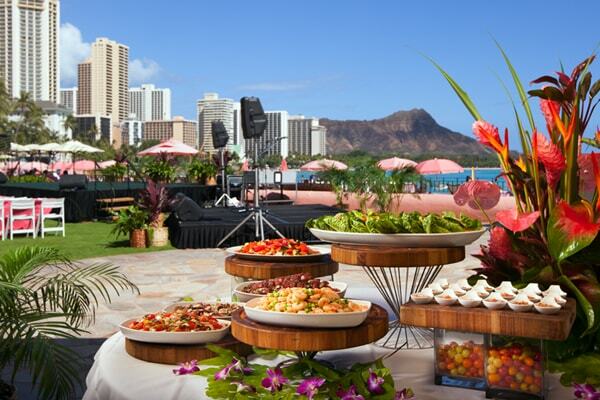 Later, sit down for an all-you-care-to-eat luau buffet dinner, which features a wide variety of delicacies. 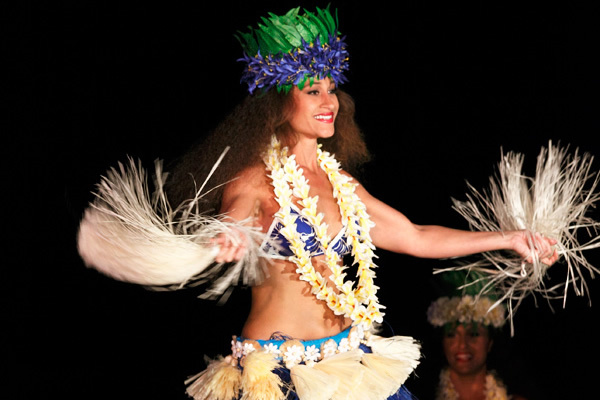 The evening culminates with a spectacular Polynesian revue, featuring hula dances as well as music from Hawaii and other Polynesian islands.